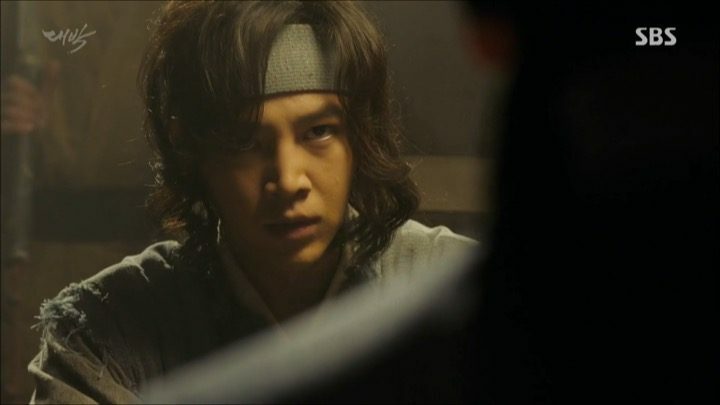 Jackpot is about the secret birth of Baek Dae Gil (Jang Geun Suk), a concubine’s son, who is hidden away, and the King’s other son, Prince Yeongjo (Yeo Jin Goo), who rises to power. Jackpot heavily relies on themes such as gambling, revenge, and secrecy to tell its stories. 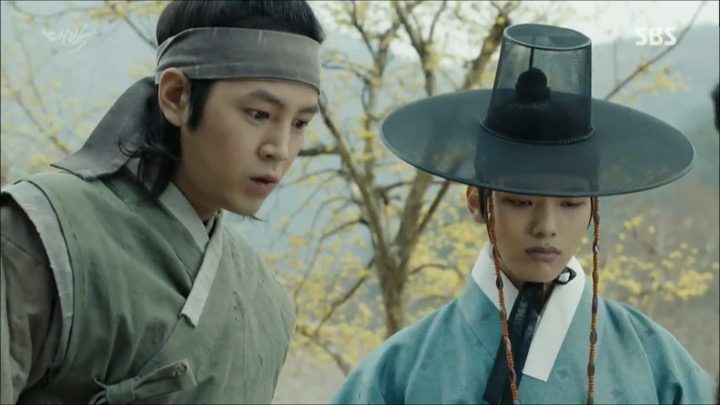 The drama seemed to have been lacking in viewer attention despite it being the return work of Jang Geun Suk while featuring up-and-comer Yeo Jin Goo. After watching the drama, I can easily see why. The writing is inconsistent and overly dramatic at times, while the characters fail to leave an impression because of their non-relatable personalities. Furthermore, the plot centered around gambling is poorly executed and slow-moving, making the show difficult to get through overall. The first two episodes of Jackpot set up the backstory for our protagonists. I like the pacing of it, as the drama takes its time to show us what each character is like, and gives us hints as to who they might become. 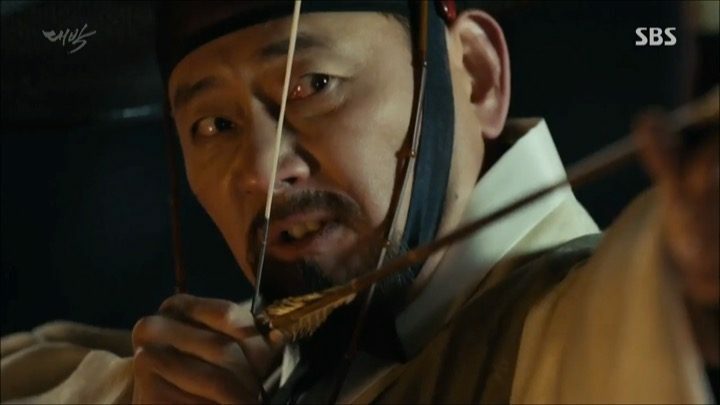 We start off with Baek Man Geum (Lee Man Sik), a drunken gambler who bets all of his wife’s savings away and does not look like he will change anytime soon. 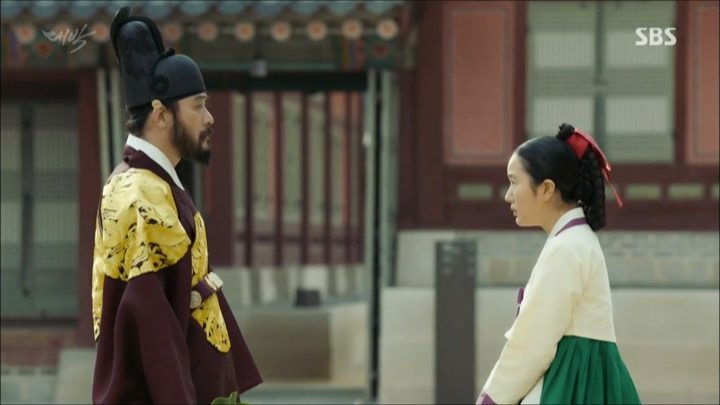 His wife, Suk Bin (Yoon Jin Seo), a palace maid, becomes increasingly annoyed with him. 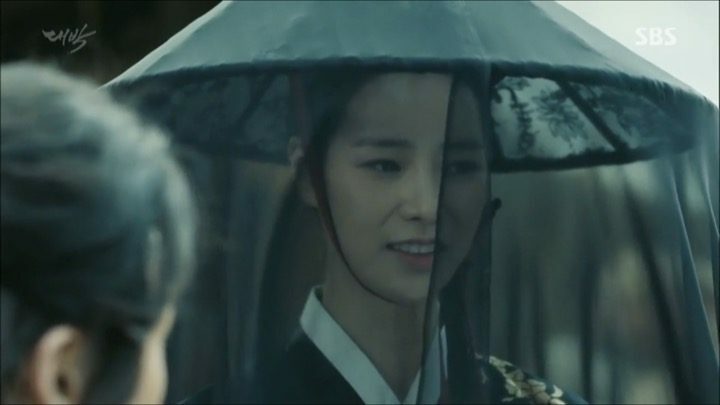 Lee In Jwa (Jun Kwang Ryul), a man who’s been wronged by the King and wants revenge, seeks her out and offers her a new life with the King, as long as she does him a personal favor. True to his promise, the King does start a life with her, as she becomes his concubine. The King wins her through a bet, and Baek Man Geum loses his wife. The drama really is trying to focus on gambling as an important plot device, and makes it look like everyone bets literally whatever they can if they are a true gambler. However, this aspect of gambling does not catch my attention in this show, because it seems so over the top. Together, Lee In Jwa, and few of his allies are plotting to take down the King. I find the first couple of episodes somewhat confusing in terms of character motivations. I’m not exactly sure why anyone is trying to take down the King. I’m hoping with time, it becomes clearer, but as of right now, it’s hard to work up sympathy towards the rebellious characters. Sure, the King can be quite strict, and seemingly has no true love for his wives, but I have yet to see a King portrayed any differently. It’s unclear if he has done anything to warrant a revolt. The gambling theme feels forced and farfetched rather than natural. 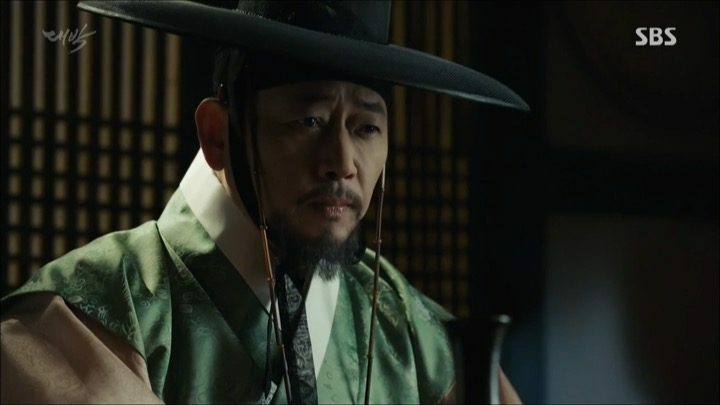 The King and Suk Bin have a child, but because it was born earlier than expected, there’s s some suspicion that the child is actually Man Geum’s. In any case, Lee In Jwa wants the child dead, but Suk Bin hides him with Man Geum. The first couple of episodes had a lot going on, which kept things interesting. Rather, most of the issues thus far extends from the idea that gambling is such a necessary evil in this drama. I understand it’s the core premise of Jackpot, but what’s throwing me off is that it feels forced and farfetched rather than natural and seamlessly integrated into the plot. Case in point, Man Geum has been nothing but a hinderance to Suk Bin while they were married, but now he needs to gamble to save their child. I’m not sure how the rest of the drama will go, but if the gambling angle can be reworked, I could see myself getting much more invested in the drama. These next episodes introduce us to the main protagonists of Jackpot. Now that they have finally arrived, it looks like the drama will pick up in pacing towards its ultimate set up, which is to have the King take a gamble on his throne. It’s difficult to relate to the characters’ motivations. First, we meet Dae Gil, who is goofy and causes a lot of trouble, but equally as interested in gambling as his father. He is the son of Suk Bin and the King, though raised by Man Geum. 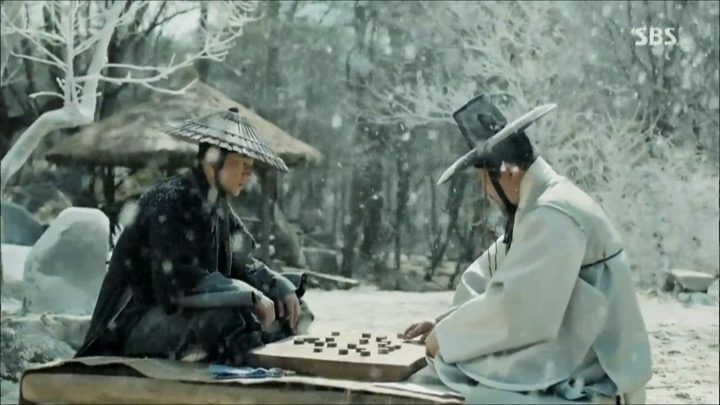 They venture to the capital where Man Geum used to gamble, because Dae Gil requested to see his father play in a big card match. It seems silly to go back to the city that Man Geum left for many reasons, including harboring the King’s illegitimate child. So to me, this is a testament to the lackluster writing where the drama could not come up with a better excuse to get Dae Gil back to the capital to convene with the rest of the cast of characters. Meanwhile, at the place everyone goes to gamble, Prince Yeongjo is in disguise, drinking, gambling, and hitting on women. But we soon learn that his squandering demeanors are just an act at the request of his mother, Suk Bin. She’s doing this to protect him from both people outside the palace, and any spies there may be in the palace. I think that Yeongjo is noble, in the sense that he wants to see his brother and father succeed in the throne. He himself is just happy working behind the scenes, as their “sword” that’s fighting for them. We are also introduced to Dam Seo (Lim Ji Yeon), In Jwa’s recruit who is sent on a mission to seduce Yeongjo. Through sheer coincidence, Prince Yeongjo meets Dae Gil at the same show and both men end up fighting over Dam Seo. At this point, it’s not hard for the viewers to piece together that they’re brothers, and so I hope that this feud doesn’t last long. On top of everyone having a scheming agenda, the last thing this drama needs is a love triangle — between brothers nonetheless. Lastly, on the antagonist front, it’s becoming more and more clear that In Jwa, who is manipulative and merciless, is likely going to be a major source of trouble in the drama. However, there have been, and will be many opportunities to take him down, yet none of the characters care to take that chance. Due to the central theme of the drama, they rather gamble with him instead of fighting him, which fails to follow logic in my opinion and makes it difficult to relate to the characters’ motivations. Jackpot‘s already uninspiring plot continues to be mind boggling and fail to impress me with each episode I watch. The drama resorts to cliche troupes, overly exaggerated characters, and manufactures complexities that are difficult to follow. Dae Gil quickly finds out that In Jwa is responsible for his father Man Geum’s death and vows revenge. Strangely enough, In Jwa doesn’t deny it. I’m disappointed because I thought that it would be better for the pacing for the show if this were the main mystery of the drama, so rather than being intriguing, it ends up being frustrating. The viewers know the truth, but because we’re waiting for the characters to catch up, it becomes quite boring to watch their slow discoveries. Unnecessary complications and dramatic events that litter all over the drama don’t add up to good writing. Sometimes, the best dramas are the ones that are straightforward, down to earth, and easy to follow. Unfortunately, I’m not getting that from Jackpot. 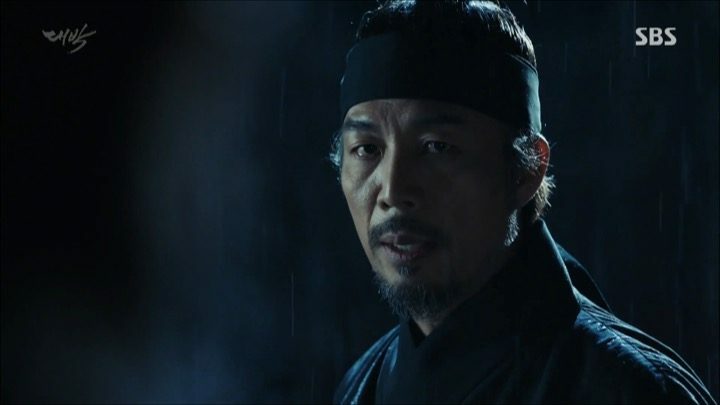 For example, there have been several moments where Dae Gil should have died, but the drama attributes his survival to him being the blood of royalty, and royalties don’t die easily. At first, Dae Gil being thrown off a cliff as a baby felt like a neat concept, but when he gets stabbed and thrown off the same cliff twenty years later, then survives for the same reason, it just seemed way too convenient and a cop out on the drama’s part. And the overly dramatic plot doesn’t end here as Jackpot throws in the king of overly abused troupes into the mix — Dae Gil suffers amnesia and is sold as a slave. I’ve never been a fan of amnesia-induced plot lines, as I feel that they don’t help progress character development and add little to the story. In this case, that is very much true. Dae Gil gets his memories back within the same episode he lost it, just to make a point about how lucky he truly is. 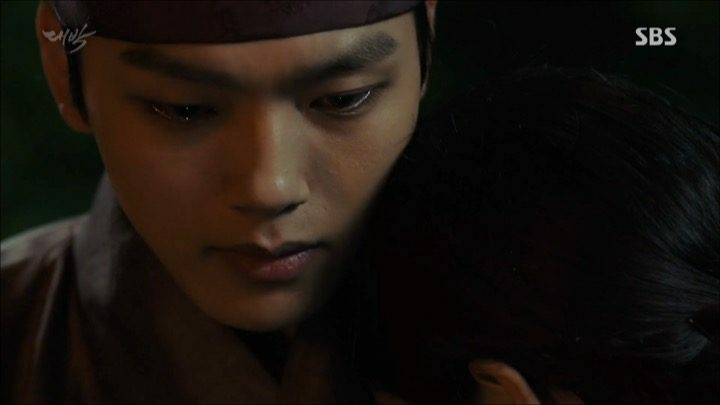 In any case, the fortunate Dae Gil gets another lucky break and meets Kim Che Gun (Ahn Gil Kang), a great swordsman who will change Dae Gil’s fate. Chae Gun takes Dae Gil in as a disciple, and this kicks off the plot line of revenge against In Jwa. Back at the palace, the King retires. 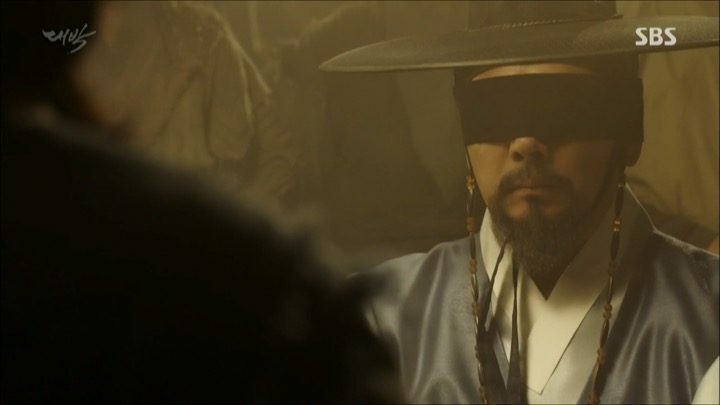 He appoints Prince Yoon, Yeongjo’s half brother, as the temporary new King. Yeongjo offers himself up as Yoon’s shield, which makes me wonder what Yeongjo is cooking up. He hasn’t expressed too much interest in the throne, but we also know that he isn’t someone who can be satisfied by just being his brother’s shield. At the same time, Yeongjo works to take In Jwa down, both for his illegal dealings and his secret plans to take down the King. However, as Yeongjo closes in on the proof that he needs to convict In Jwa, In Jwa weasels out of it through bribery. In Jwa’s character is equally exaggerated out of proportions. He’s literally able to escape any penalty, and is able to play cards blindfolded, making him nearly super human. Yet my biggest complaint is the lack of focus and clarity around his character. We should be able to see the antagonist’s flaws and goals to make them logically understandable if not emotionally relatable. However, In Jwa is shrouded in so much mystery that it’s difficult to fully decipher his motives, which ultimately negatively effected my perception of the drama. Some of the secrets are finally revealed in this section of Jackpot, but strangely, no one acts on them. The King realizes Dae Gil is his son yet bides his time. I wonder what all this is leading up to, but with the erratic pacing of this drama, I can’t imagine that whatever does happen will happen in a timely manner. I’m not looking forward to how this may play out because as the drama has shown me thus far, it will likely be dragged out to who knows when. Yeongjo really captured my attention in an otherwise boring and nonsensical story. Yeongjo is the only reason I’m still watching. 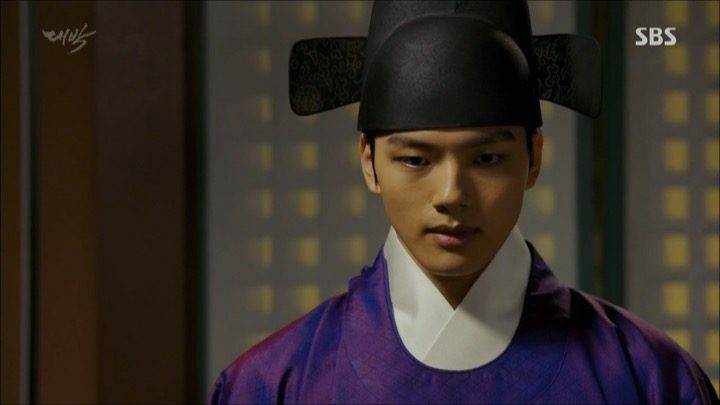 Yeo Jin Goo’s acting has been amazing and really captured my attention in an otherwise boring and nonsensical story. He has more chemistry with Dam Seo, yet the drama is predictably pushing Dae Gil and Dam Seo together, when I just don’t see a romantic relationship there. On the other hand, In Jwa has proven to have so many hidden allies that I feel like his eventual defeat will be super drawn out and poorly executed. Time and time, the audience is shown that he has incredible luck, along with random abilities such as catching an arrow mid-air to fall back on. However, this is where I’m calling it quits. After putting up with hours of overly exaggerated actions, coupled with non-rational plot advancement, I am no longer willing to take a gamble on the outcome of Jackpot.